The internet has largely killed off the once-cherished art of the video game strategy guide; after all, it’s hard to get hyped for an analog guidebook when one or two quick Google searches can get you a written walkthrough, dozens of screenshots, and roughly a million Let’s Plays of every game ever created to help you through a tricky spot. But while the strategy guide’s value as a treasure trove of high score secrets might have diminished over the years, it’s worth as an art object has not, something made abundantly clear by a series of jaw-droppingly gorgeous images from a guide for Nintendo’s classic Super Mario 64 that re-surfaced on the internet this week. These are courtesy of graphic designer @CorySchmitz, who posted pictures of their recently acquired copy of a Japanese Mario 64 guide on Twitter yesterday morning. In case it wasn’t immediately clear, the images aren’t just random dioramas of Mario fighting off Goombas; these are clay recreations of several of the game’s iconic levels, an incredibly nifty way to put its then-revolutionary move into 3D space onto the page. 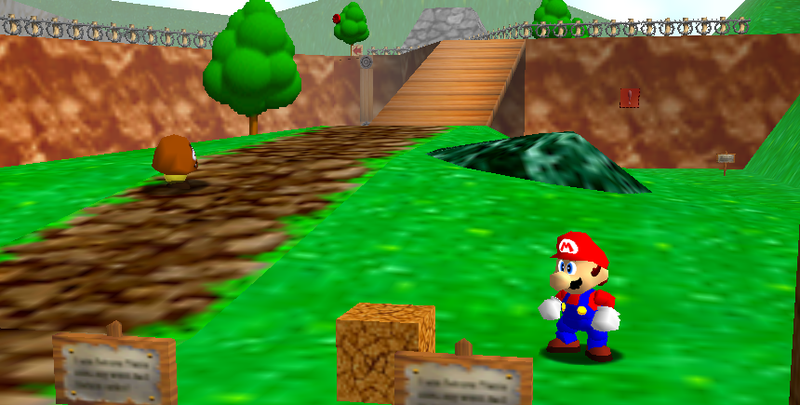 It’s a testament both to the cleverness of the idea—and the clarity of Mario 64's still-amazing level design—that each world is instantly recognizable, from the clockwork contraptions of Wet Dry World to the burning lava (and teensy hand-crafted Bowser puzzle) of Lethal Lava Land. @CorySchmitz’s biggest contribution, though, might be including a shot of the book’s cover in their thread, making it far easier for art-minded fans of the game to find their own copy. (Because there are a lot of unauthorized Mario 64 guides out there, and it can be expensive trawling through them to find the right one.) Admittedly, the only copy we could find after a few simple searches was going for more than $100 on eBay, but at least we can bask in the crafted beauty of the existing photos as we continue our search (or shore up our wallets to better take the hit).